In order to meet urgent and voluminous requirements of the customers, we have installed all the in-house facility at our premises. Laced with modern facilities, it helps us in securing the product line from factors like, moisture, dust, sunlight, etc. Our complete range of product is wrapped in strong, nontoxic, and superior-grade packs that protect the contents inside from damage, moisture, logistic movement, etc. Furthermore, the packaging has product details printed on it. Details : Hytrin (Terazosin) is in a group of drugs called alpha-adrenergic blockers. Hytrin (Terazosin) causes the blood vessels (veins and arteries) to relax and expand, improving blood flow. 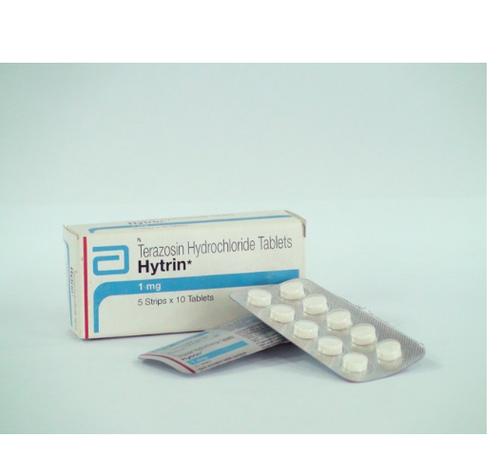 Hytrin (Terazosin) also relaxes muscles in the prostate and bladder neck, making it easier to urinate.